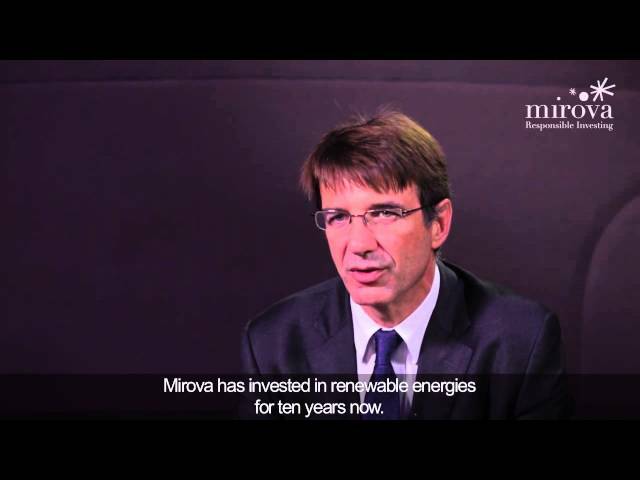 By Philippe Zaouati, deputy CEO, in charge of Mirova. A conference on Impact investing was held yesterday in London by the UK’s G8 Presidency. Under the initiative of David Cameron, who gave a very hawkish opening address, the United Kingdom showed itself keen to throw its weight and highlight what it sees as its leadership in this field, encouraging other G8 countries to follow its example. Impact investing, sometimes translated (incorrectly) into French as “finance solidaire” (solidarity finance), consists in investing in entities or projects aiming to have a direct social impact while generating financial returns. The Impact Investing market reportedly weighs $36 billion and could grow to $400 billion or even $1,000 billion by 2020 (JP Morgan study, 2006). Three key issues stand to benefit from these investments: the considerable needs of what is known as the “bottom of the pyramid”, i.e. the four billion human beings who live on less than two dollars a day, energy transition and “green” development, and lastly an innovative approach to financing utilities. - the creation of Big Society Capital, which was awarded £400 million from “sleeping” bank accounts (money not claimed after the legal deadline) with a further contribution of £200 million by major banks of the City of London. BSC’s mission is to invest in funds and intermediaries that finance social enterprises. - the creation of a Social Stock Exchange. The goal is clear: to meet social needs that public authorities can no longer finance or have not succeeded in handling efficiently. This is where the British social finance philosophy differs from the French view. For French minister for the social and solidarity-based economy Benoît Hamon, head of the French delegation, the idea is “not less State involvement, but better State involvement.” The French are concerned that part of their social protection system (of which Benoît Hamon reiterated the importance at times of crisis) could be handed over to market and financial mechanisms. In the United Kingdom, there are no such inhibitions. On the contrary, profitability is seen as a guarantee of efficiency, of better use of public funds, of good project selection. The French government prefers to focus on public-private partnerships, tax incentives, the role of the Banque Publique d’Investissement (French public investment bank) or the future Fonds d’innovation sociale (social innovation fund). While the substance is debatable, concerning the form, the British have undeniably won their bet of placing social investment at the very heart of so-called mainstream finance, in the heart of the City. Marketing campaigns on major national initiatives have at least had the merit of pulling social finance out of the niche in which it is too often restricted in France. The conference called attention to the different political approaches to this topic, but above all it sought to identify impediments to the growth of Impact Investing and find possible solutions. The main obstacles include the endless debate on arbitraging social impact and financial profitability, the lack of mutual recognition between players, the dearth of projects, liquidity issues, lack of intermediaries, limited human resources and technical assistance for projects, etc. Over and above technical issues, ideological and political prejudices, and patriotic marketing, the real message lies elsewhere. At a time when the reputation of traditional finance is called into question, social investment is a fantastic opportunity to show that finance can (and must) play a new and innovative role.